Please find below details of the Partners and Heads of Department at Cottons Chartered Surveyors. Andrew became a partner of Cottons in 1997, aged just 27, being integral in a management buyout returning the established Cottons brand from corporate ownership to its traditional partnership roots. He started our Auction Department in 1999 with a sale of 34 Lots, taking to the rostrum in 2002. Andrew prides himself as remaining ‘Hands On’ in his auction role providing clients with a truly all round service taking on volume property and selling it from the rostrum thereafter and is highly regarded by the many clients he has acted for over the years. 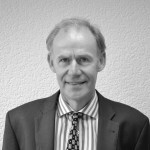 He has been a Chartered Surveyor for 21 years and is currently a member and Midlands representative of the RICS national auction committee and Bank of England regional committee member (West Midlands Region) providing property advice and commentary. 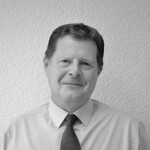 Richard joined Cottons in 1998, and has worked in a variety of areas within the business and now heads Cottons Property Management Department. 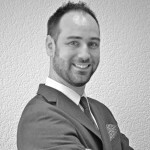 He specialises in commercial property management, block management, property insurance and leasehold enfranchisement. Richard studied Estate Management with the College of Estate Management achieving a first class honours degree in 2010. He qualified as a Member of the Royal Institution of Chartered Surveyors shortly after and became a Partner in the firm in 2011. 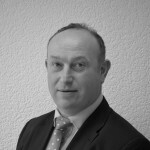 Stephen joined Cottons in 2011, where he heads the Commercial Property Department and has a wide ranging role, being responsible for commercial sales by way of private treaty and auction, commercial lettings, lease renewals, rent reviews, commercial property management, formal valuation reports and general professional work. Stephen gained a degree in Estate Management from Birmingham Polytechnic in 1984, and was elected as Associate of the Royal Institution of Chartered Surveyors in 1986, becoming a Fellow in 1997. He has subsequently worked exclusively in private practice, carrying out a variety of professional and agency instructions, primarily in connection with commercial and industrial property. In his spare time Stephen enjoys cycling and long distance running, regularly competing for local charities. 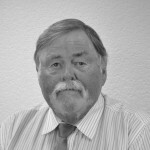 John Day has a wealth of experience following a career spanning well in excess of 50 years in the profession, and in excess of 40 years as a Chartered Surveyor. His time is divided between looking after his private clients in the commercial property management department, and his auctioneering role, alongside Andrew Barden, conducting the firm’s regular Auctions held at Aston Villa Football Club. Estate Agency Partner Dan O’Malley joined Cottons in 2011, and is successfully applying his extensive experience in estate agency gained over a decade handling a broad range of residential property throughout the Midlands as well as land and development sites. Since graduating University and achieving both a BSc in Property Studies and a HND in Planning and Development, Dan has enjoyed success managing several estate agency offices throughout Birmingham. In 2017 he became an Associate of the Royal Institution of Chartered Surveyors and an RICS Registered Valuer. In 2018 he qualified as a RICS Member specialising in the Residential sector. 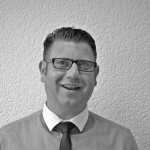 Jason Coombes joined Cottons in 2012 in the role of Residential Lettings Manager, and brought 17 years of Residential Lettings and Sales experience with him. He has worked across the West Midlands diverse rural and urban towns and cities, providing landlords with appraisals, up to date legislative guidance and property management advice across all aspects of the challenging and ever changing residential lettings market. 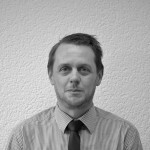 Jason has a degree in Sociology and his expertise lies in Residential Lettings. Stuart joined Cottons in 1997, in the role of Residential Lettings Manager and has since worked his way up to Partner level. Stuart is now based within the Property Management Department where he manages a wide variety of residential developments and agricultural property across the Midlands. 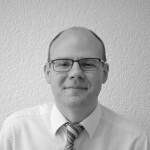 Ian prides himself on his approachable manner and has an extensive knowledge of most aspects of property including Residential, Commercial, Land and Development sites. His experience over the years has proved invaluable when advising his clients on the broad spectrum of auction instructions which he undertakes.